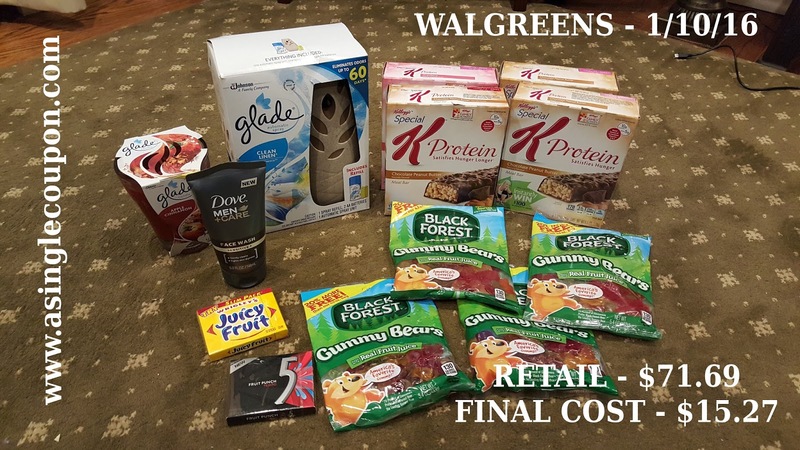 Here's a nice little Walgreens trip that I put together on Sunday. The Special K Meal bars are my breakfast on week days, so that's $0.50/day for breakfast for the next month! Also found a nice little moneymaker on the Dove Face Wash! Check it out! FINAL PRICE: $6.00 (1.50 + 8.49 - 3.00 - 0.99) $3 each is a great price for the meal bars!